Josh was originally born in Ecuador and is in his senior year studying Industrial Engineering. He is a brother of Phi Delta Theta and LEAD Scholars graduate and has been involved throughout his time at UCF in various organizations. 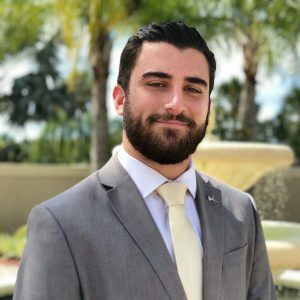 He has served as Interfraternity Council VP, Greek Council President, Senator for the College of Engineering and Computer Science, Student Body Advocacy Chair, and Senate President. His passion for involvement stems from servant leadership, creative problem solving, and inclusion. He hopes to one day use his Industrial Engineering skillset to help solve real-world problems.